This USB device will enable you to convert any halogen or toaster oven into a reliable and easy to use reflow soldering oven! Also see http://electronics.kitchen/reflow for more information! 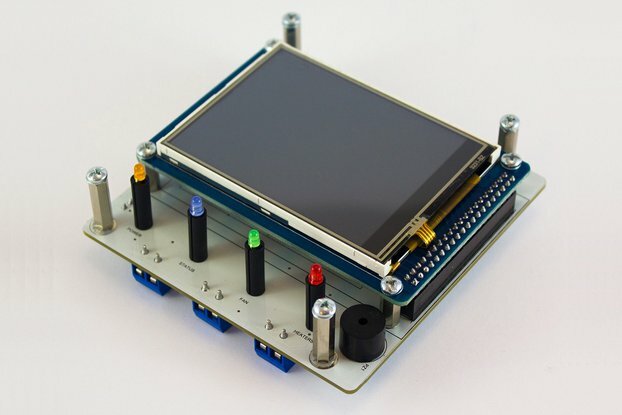 This controller has been used to build prototypes of the FreeSRP software defined radio, a complex board containing multiple BGAs and 0.5mm pitch QFNs. Please Note: This product includes only the controller itself. You will need to purchase a K-type thermocouple and a relay that can be controlled by a 5V logic level output separately. There's more information on the documentation page. Surface mount devices are becoming more and more popular, and allow a level of integration and miniaturization not possible before. However, some modern devices come only in very fine pitch packages or BGA formats, which make soldering by hand impossible. Reflow soldering solves these issues by heating up the whole board in an oven and melting solder paste applied beforehand. For this process to be reliable, a specific thermal profile must be followed. 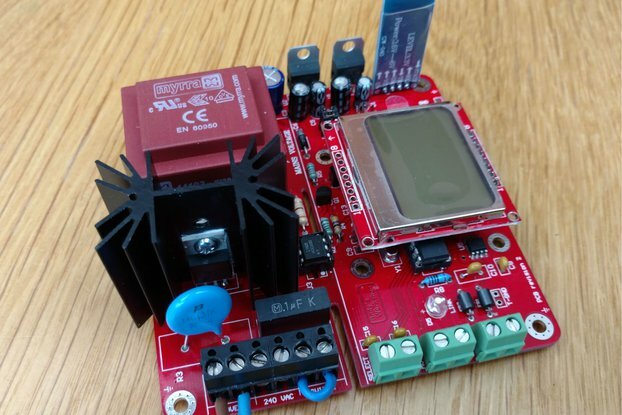 The hardware and software in this project allows any oven to do so, making modern device packages more accessible to hobbyists. 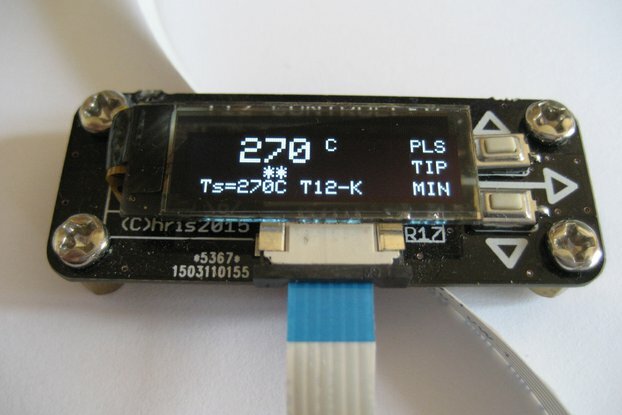 A 4x5cm board that connects to a computer via USB and has thermocouple input and relay control signal output for regulating the temperature inside the oven. 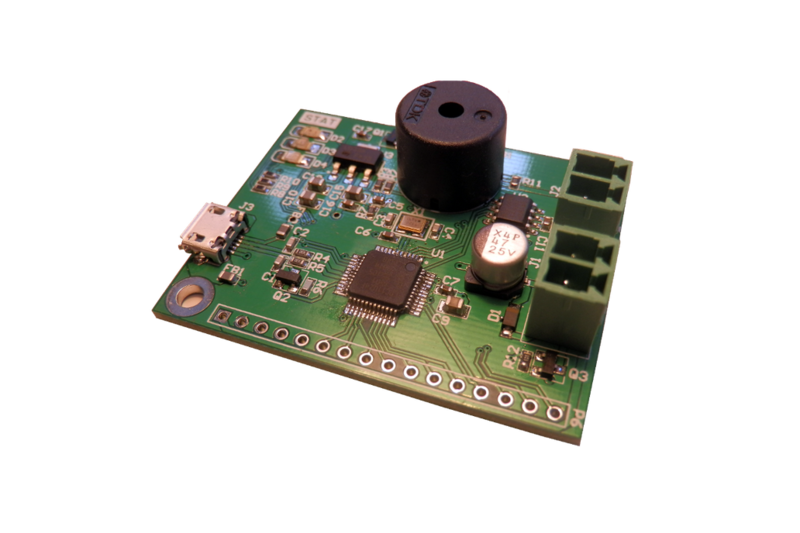 The controller features an NXP LPC11U24 Cortex M0 microcontroller running software based on the ARM mbed libraries. A small web app served locally that connects to the oven and allows tuning the ovens parameters and supervising the reflow process in real time. The server uses node.js, so the app is cross platform and can be accessed from anywhere within the local network.